In the 8th at Fair Grounds yesterday, 3-year-old Ellashoo “broke down” (Equibase) and, multiple sources report, was euthanized. Two other horses fell after “colliding with [their] fallen rival” – will update as information becomes available. Around the same time, Cleopatra’s Gold “sustained a catastrophic injury” in the 7th at Oaklawn “and had to be euthanized” (Daily Racing Form). She had just turned five. Wednesday, Portent, six, “broke down” in the 2nd at Charles Town. Dead. ‘Twas Portent’s 51st time under the whip; he was “For Sale” at $4,500 prior to dying. Tuesday, Lawgiver Hanover “broke [his] right front cannon bone – euthanized” (Gaming Commission) in the 10th at Yonkers. He was eight. Also Tuesday, Shelby’s Ideal “was found deceased” in his stall at Monticello after being treated for “acute colic” the day before. The 5-year-old was last raced on March 1. I’m totally sickened, and appalled by yet another death list. You would have to be demented, and heartless to force a horse into this slavery business. Did you know that horse racing has a monopoly on gambling in the entire USA?? They have a thing called the Interstate Horse Wagering Act t(IHWA) that NO OTHER gambling business or entity in the USA has. It’s controlled, for the most part, by the HBPA. This enables them to take limitless amount of gambling bets over state lines,even over seas, with little to no accountability for the money with no taxes being paid on the millions being made. It’s estimated, according to US Trade business reviews, that gambling from horse racing (via the IHWA) generates over 100 million dollars per year in OFFSHORE GAMBLING HAVENS like Bermuda, Jamaica, Bahamas, anywhere in the Caribbean. This money is UNACCOUNTED for with NO taxes being paid on this money. They give NOTHING to racehorse aftercare, employ little people – they just bring in the cash at the expense of massive suffering/dying endured by racehorses. They have, evidently, permeated all the racetracks with trainers in place who will dope up a racehorse to win, lose or draw in order to manipulate the outcome of races. They probably have the politicians in their back pockets who will ensure that this death charade continues. This is all about to change as many states are now challenging this monopoly on gambling as they should. It’s called EXPANDED SPORTS WAGERING and it will greatly reduce or completely eliminate the billions wagered on racehorses every year. Without this income, many tracks will struggle to keep their doors open. The ONLY thing that will keep it open is local and state government handing out precious taxpayers dollars or tax breaks or the percentage of profits from casinos. Take outside financial help away, and these hell holes will shut down over night. If Shelby’s Ideal was treated for ACUTE COLIC the previous day then why didn’t the vet EUTHANASE him there and then putting him out of his misery? Colic is one of the most excruciatingly painful deaths for a horse. Yet another example of the horrendous animal cruelty in the horseracing industry. Horrible industry with corrupt people in charge. They pay off their veterinarians and those in charge of deeming the horses capable to race even when they know their not. That’s why they “break down” on the track. The horses are pushed to their physical and mental limits and are whipped to give even more. All for money hungry crooks. Shut them all down. The public is becoming increasingly educated about their dirty little secrets behind the fancy hats, and mint juleps thanks to blogs like this. 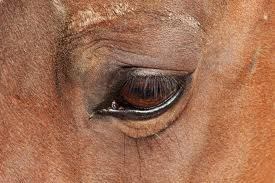 Horse racing requires the massive suffering, dying, and exploitation of racehorses in order to continue filling the wagering coffers. It also requires the massive exploitation of foreign workers, mainly Mexican labor, to keep these hell holes going. The maiming of racehorses is not mutually exclusive because the maiming of jockeys is also required. This is not a “green” business as they are major contributors to greenhouse gas emissions including the environmental disaster called a slaughterhouse where many end up after they are dumped. It’s a cesspool of corruption as article after article, incident after incident is confirmed. They are all cowards because it’s so easy to exploit a defenseless, and voiceless racehorse when it’s confined to a stall. This is a bad business that doesn’t belong in the 21st century. It WILL END when their outside financial help ends, and it starts with people to STOP wagering on racehorses. The house of cards is beginning to fall, and will eventually cascade into this business finally SHUTTING down. It can’t come soon enough for the racehorses.